Thuraya Telecommunication Company has been producing satellite phones for 20 years now, but none of the satellite phones were running on Android OS, they had few limited abilities. 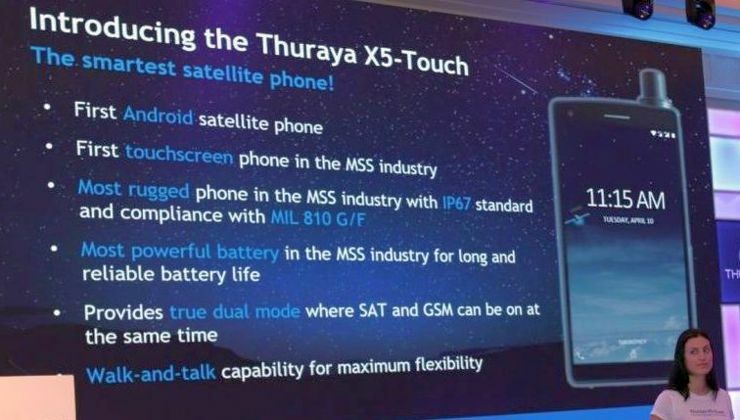 Thuraya announced the world's first and only satellite Android smartphone; The Thuraya X5-Touch, at it's conference with Emirates company in Dubai. Satellite phones is a type of mobile phones that can connect to orbiting telecommunication satellites instead of the normal terrestrial cell network to receive communication functionality such as; voice calls, short message services (SMS) and Internet data transfer. 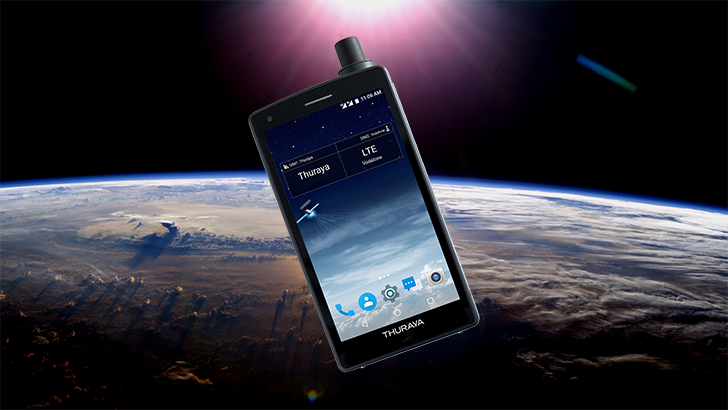 Thuraya's new X5-Touch smoothly integrates the satellite connection functionality into an Android smartphone that also comes with dual SIMs slots for quick change between standard GSM and satellite network services. Thuraya said it's targeting the X5-Touch at 'phone users who often move in and out of terrestrial network coverage areas,' like the military, miners, quick emergency response squad. Thuraya didn't provide much information on the X5-Toch specs, but mentioned that it comes with a 5.2 inch (FHD) 1080p screen display protected by Corning Gorilla Glass and it's well built casing is resistant to sand, dirt and water (IP67- Certified), it comes packed with enough battery juice, a front and back facing camera. As a dual network smartphone (GSM and satellite network services) Thuraya X5-Touch comes with two SIMs support and the ability to quickly change between the two modes or have both network turned up at the same time, comes with other wireless network services; WiFi, GPS, NFC and Bluetooth, an advanced hardware for navigation and a dedicated SOS emergency button. Nothing much have been known yet about the Thuraya X5-Touch's chip and memory configurations but it will be running on Android OS which is not yet specified. There is no information yet, on the Thuraya X5-Touch price nor release date, but don't foget to subscribe to our newsletter to get notified once the Thuraya X5-Touch is available.